The next best thing to living in a wildlife park is living next to one, right? Manuel Antonio is one of the most famous tourist attractions in Costa Rica, with capuchin, howler and the adorable titi monkeys roaming the trees, and raccoons and their cousins, the long-nosed coatimundis, scurrying about. A discerning eye will find many colorful species of birds and reptiles at every turn. Finally, there is a large white sand beach at trail’s end, framed by a stunning rocky cove that keeps the waves soft and friendly. 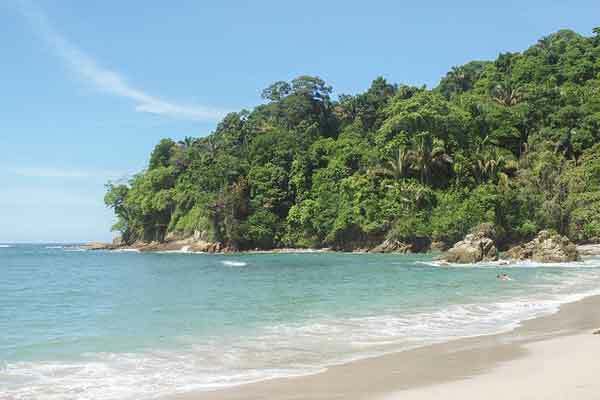 However, unless you’re a world-class fisherman, the adjoining town of Quepos often goes unnoticed. 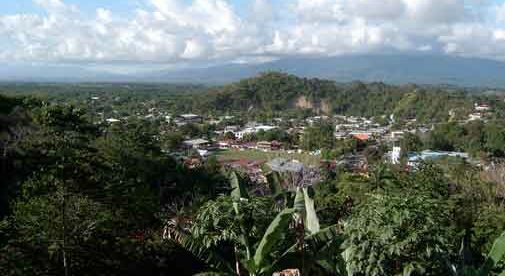 Quepos is a bustling town of 22,000 people. Shopping is some of the best in Costa Rica’s coastal zone, as many luxury yachts come in and out of the Quepos marina. The MaxiPali, owned by Walmart, is the spot for groceries and home goods, while the Mini Price Store features many imported foods and wine, beer and spirits from the Price Mart in San José, the Latin version of Costco. Transportation is another of Quepos’ more attractive features. The town sits just off the main coastal highway, two hours’ drive from San José. The Tracopa bus line runs regularly between those cities and is widely used by ticos and gringos alike. The air-conditioned coaches are as nice or nicer than their North American counterparts and a journey costs around $8. If you’re in a hurry, the nearby Quepos airport features regional airlines Sansa and NatureAir. They fly 12 or 30 passenger propeller planes that whisk you over the lush green mountains to San José in twenty minutes for about $60. Saturdays, most of the locals shop at the weekly feria or farmers’ market near the marina for fresh local fruits and vegetables, as well as freshly caught red snapper, tuna, mahi-mahi, and other local species. The recently completed marina features a two-story center with ample below-deck parking and a variety of shops and restaurants. Designed for the yachting set, there are still many affordable places to enjoy a snack and a beverage while watching the fancy sport fishermen bringing their catches in to be weighed and photographed. The gorgeous Pacific sunsets at the marina make this a nightly gathering spot. Should the unfortunate occur, the Hospital Metropolitano is just outside of town near the airport. For emergency and basic treatment, it’s a fine regional hospital. More serious cases can be transported to the large, modern hospitals in San José by plane or ambulance. Many people are beginning to take a look at the wealth of opportunities available along the Costanera Highway in the southern zone of Costa Rica. Life among the happiest people on Earth can have strange effects on you…you may become one of them.